Melon, 26 years old, is originally from Yongan, Fujian. 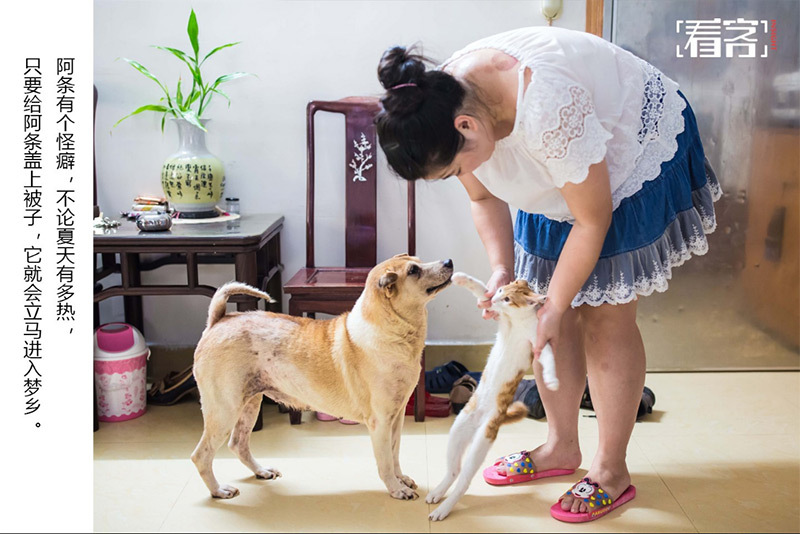 She came in Guangzhou in August 2014 to work and immediately had decided to adopt two Siamese cats. She says she grew up with cats and her family has had up to four cats. World cat day in China: Nowadays in Chinese society, more and more young people are looking for an individual space, a free life without obstacles, but at the same time being able to feel emotionally fulfilled, loved and loving. 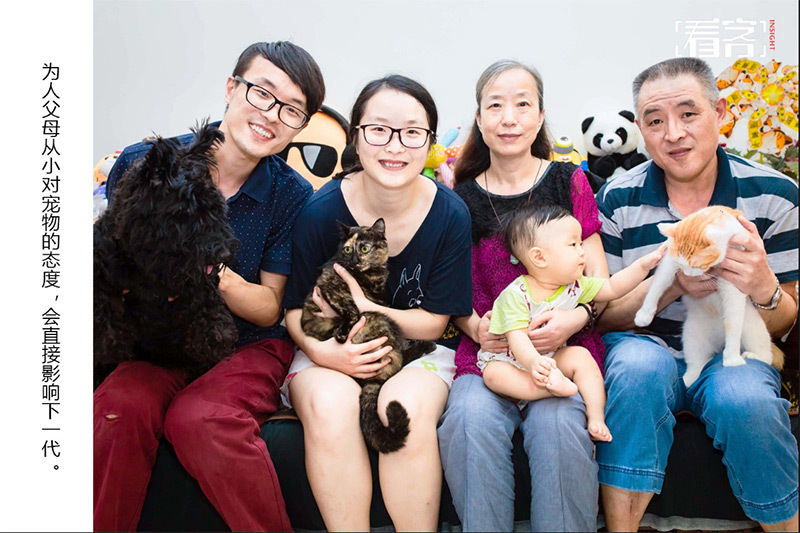 Chinese website 163.com has published a series of images of Chinese families, from one or more individuals, with one or more pets. Data show that China currently has 200 million families living with pets, and the annual growth rate is not less than 10%. Since 17th February is “World cat day” we selected some images of those families with felines. These families, when speaking about their cat, often referred to them with similar words: “It’s not that I keep it, it’s more like it lives with me!” For some young men and women, who live in cities, their cats are like their children and for this reason, they try to give them the best of the best. Melon, 26 years old, is originally from Yongan, Fujian. 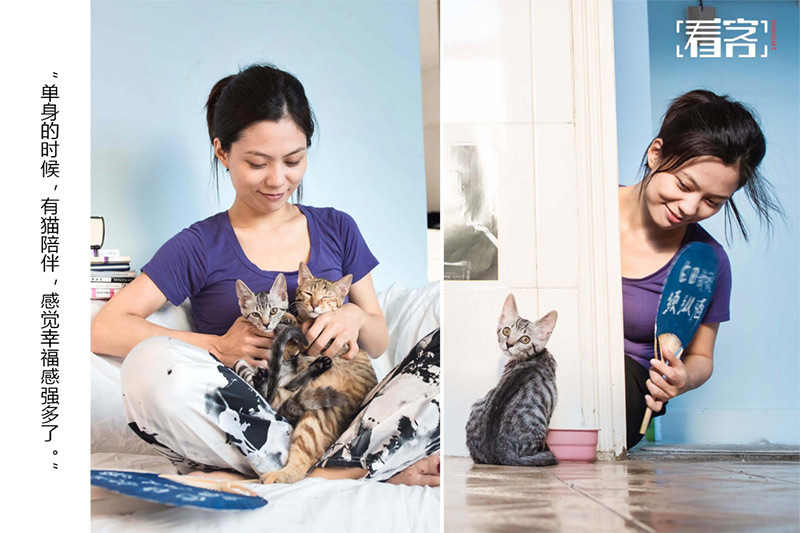 She came in Guangzhou in August 2014 to work and immediately decided to adopt two Siamese cats. She says she grew up with cats and her family has had up to four cats. 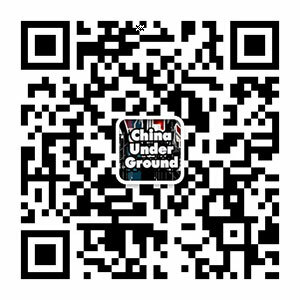 Ke Jiamin, 34 years old, is originally from Putian, Fujian, now he lives in Guangzhou, where he graduated from college. In 2013, in a pet store, he found a cat with a big face with short hair and was immediately love at first sight. Jiamin has brought home the cat and decided to call him “Big Head”. Big Head is a very exclusive cat, who doesn’t like meeting people and often has a cold and distant look. Vicky is 26 years old. She is from Shandong, after graduation, she decided to stay in Guangzhou. She is the wife of a policeman. Since her husband for most of the time is outside training, Vicky feels that a part of the family that enriches her heart are their cats. Vicky, now, is pregnant and for this reason, many people are worried about her and the risks of transmission of Toxoplasma by their cats. Vicky is not worried and said that the cats will stay with them, she has absolutely no intention of abandoning their pets. Da Da, a native of Shaoxing, Zhejiang lives in Guangzhou, where he works as a photographer. He lives with a baby, his wife, parents, a black dog, a cat of three colors “Sushi” and a white and yellow cat “Meow”. Da Da and his wife love animals very much, in fact, they think that these will help them to learn to love, tolerance and patience. They also think pets are important for child’s childhood. They believe that by growing with pets, their baby will be physically and mentally healthy. Azusa, born in 1993, is an authentic Guangzhou boy. He and his friends opened a tea shop. Azusa has called a cat Cuckoo and the other Jiji. Ma Fang is originally from Ningxia Hui. She working in the media, in Guangzhou, from August 2016. While she was near a bridge she found a stray kitten, which she called “Godfather”, since she believes that this little feline will determine its nature: good or bad. Ma Fang believes that the most special and memorable moment is when she’s in a bad mood and the cat lies down on her chest close to her heart and falls asleep. She said that that time her heart was in the state of dark and gloomy mood, simply and immediately lit, thanks to this little life that has a sweet and delicate own personal touch. 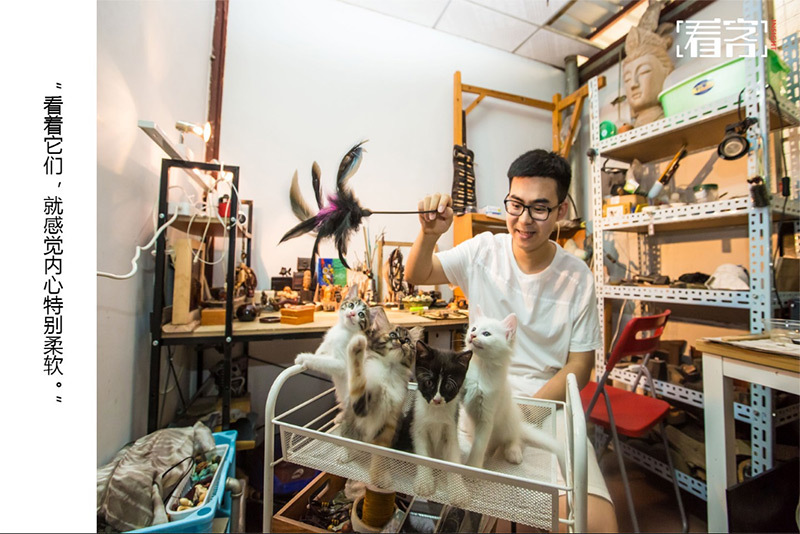 Hwang Wengwen, 21 years, after adopting his first kitten, he rented an apartment outside his school in Guangzhou, to create his own studio. His girlfriend, who didn’t want to see the kitten grow alone, spent many hours in a pet shop and spent 750RMB to give a feline family to the kitten of her beloved. 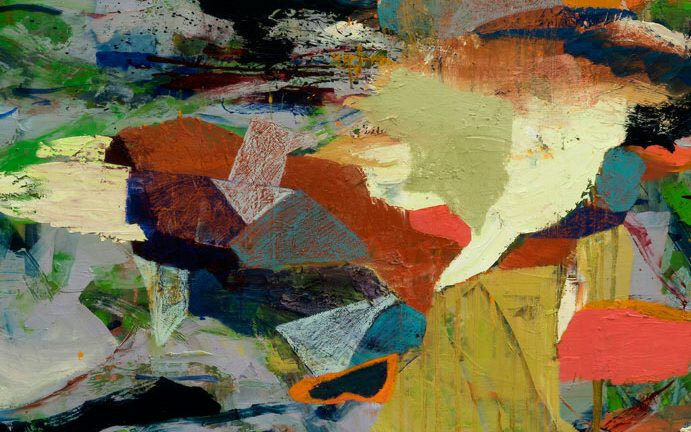 Zhu Wei, 25 years old, graduated from the Academy of Fine Arts in Guangzhou. Two or three years ago, when he was still a student, he found in the Academy warehouse, a kitten. Zhu Wei has decided to call it “Flower.” Flower behaves like a dog, she is very sticky, looks for him and wants to remain with him and sleeps in his arms or around him. But after all, being a cat, when it is dark, at night, she loves hanging out and she went to meet her lover. 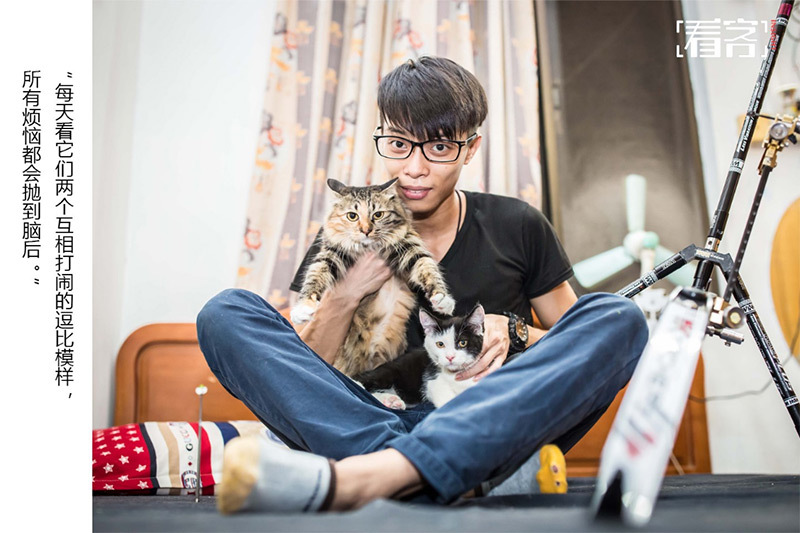 Zhu Wei didn’t have the courage to sterilize her, and now he has four kittens. 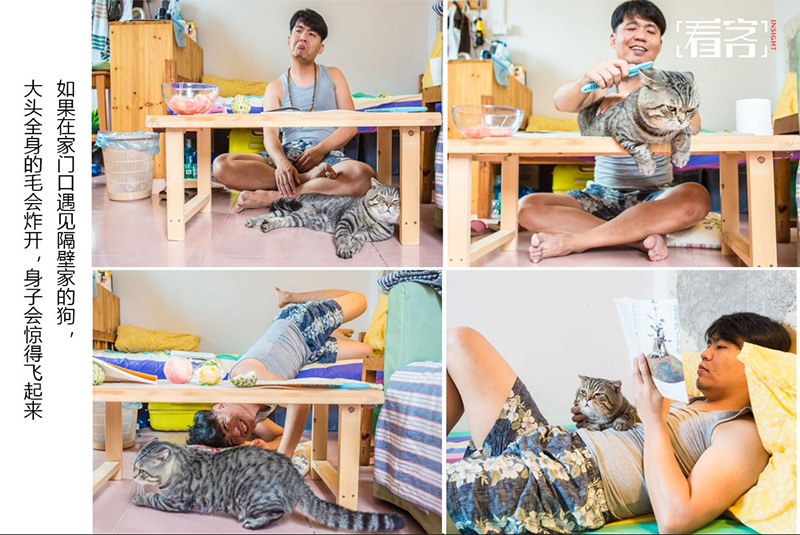 Zhu Wei said that he spends most of his time raising six cats. 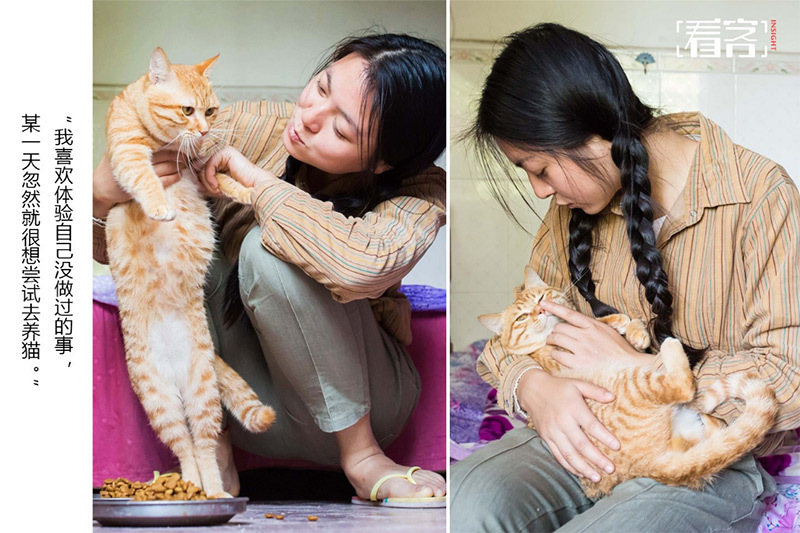 Suki, 27 years old, lives in Guangzhou with three cats and a dog. Last Easter found, near her home, in a box two newborn kittens, a week or so old. One of them didn’t survive. Suki has for 15 years a dog named Dolly. She teaches to her dog to be friendly, gets along with the kitten since they are roommates. Little Lion, 28 years old, is single and she working on art projects. In June 2016, a small kitten has become a new member of her small house, as well as in July, once again, came another, just a month smaller of the first feline. 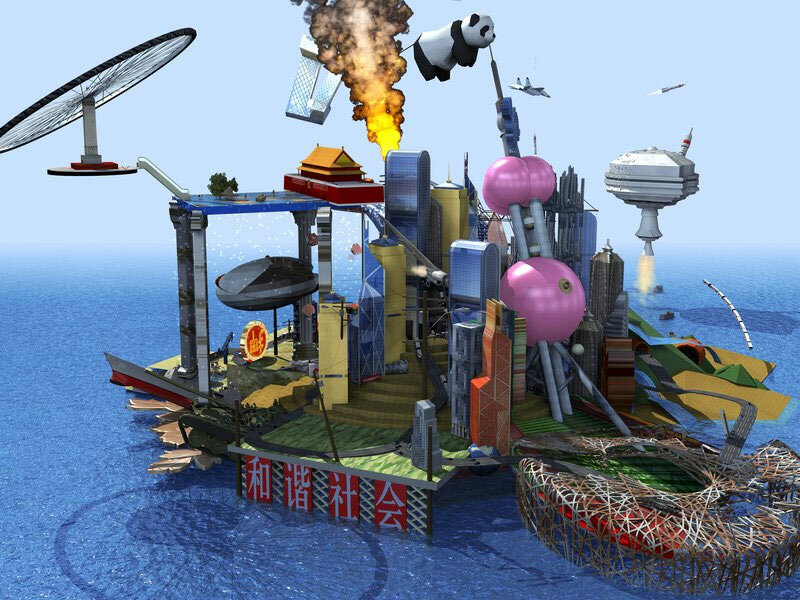 Yunsheng Xiao is a native of Jiangxi, 1989, she is working in Guangzhou for six years. She raised four cats of different colors, named South, North, Tiger and Milk. The four cats sleep with her and cling to his thighs, arms, waist and chest. The girl admitted that before she was the first person to escape from cats. Thanks to friends who love cats, her attitude has changed and now she loves them very much.